Chief Minister Chandrababu Naidu said that we should not punish ourselves and punish those who have done injustice to us.Have to think about the losses to the state,because of one day bandh.On Monday, he conducted teleconference on Neeru-Pragathi and agriculture.The meeting was attended by the collectors, departments of the various districts and representatives of local organizations. 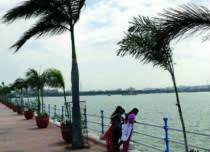 Chandrababu said that the underground water level has risen from 21 meters to 15 meters. he advised his officials to provide irrigation to farmers from june onwards in this year.Have to done work timely, and be ready with the preparation of rainguns.He said ,have to strongly implemented Kharif farming schemes, have to see without the shortage of seeds and fertilizers.Micronutrients are free to farmers and malnutrition should not be produced in the state. The use of micro nutrients has increased the yield of various crops. International best practices should be studied. The authorities are expected to evaluate monthly progress and reach targets. Innovative plans are designed and implemented efficiently. Chandrababu responded to the bandh in the state. Our protests should also be beneficial to the state. So, take half an hour in the protest and do not want to work for another hour. 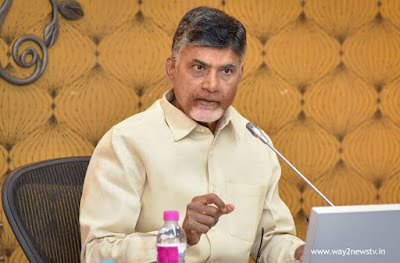 Chief Minister Chandrababu said the RTC had lost Rs 12 crore per day with a bandh. Buses or nearly 65 lakh passengers suffered. Several jobs have been lost due to the shut down of the shops.